12Pc Artificial silk rose flowers, 90% Eco-friendly Silk ,10% Plastic.The rose stem has artificial thorns, please be carefully before use. 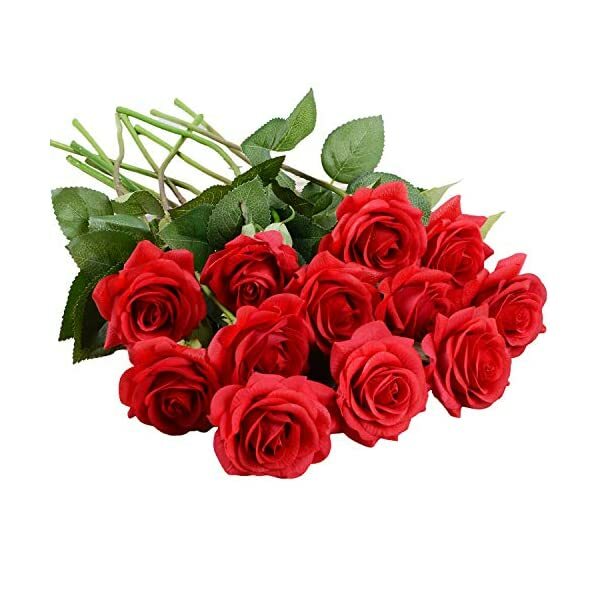 Soft and fresh red roses flowers, Base on the real flower to produce ,making the faux rose real-like and keep fresh &lifelike long time. 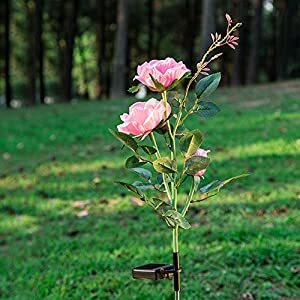 100% brand new and realistic rose.Beautiful flowers for bridal bouquet. 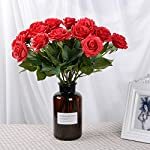 They look and touch like real roses.The stem is made of steel wires covered with floral tape, Easy to DIY your own style rose flower bouquet as you like. Lvydec is committed to bringing joy each day. 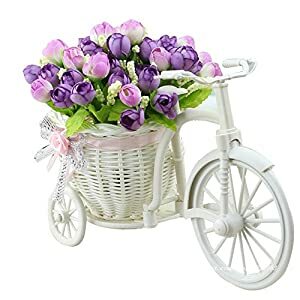 Artificial flowers are made of eco-friendly and healthy Subject material. Each and every procedure has a special quality inspection and the defect rate has reached the minimum. We take note of product quality, more involved in your life enjoy. Lvyleaf’s silk artificial roses, peony wreath, peony silk blooms, gypsophila and a series of fake flowers. More choices, looking ahead to your arrival. 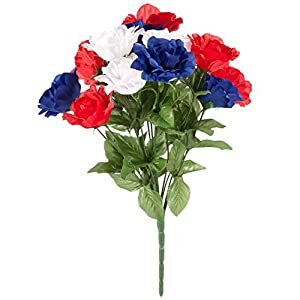 our fake flowers are ideal for decorating your Wedding, Home, Party. Subject material: Silk flower& leaf+Metal wire stem wrapped by plastic. Tips: Rose stem can also be bended, snipped to suit your vase or bouquet. Size: Flower height: 21.2inches/53.8cm, flower heads Diameter 4.7inches/11.9cm. 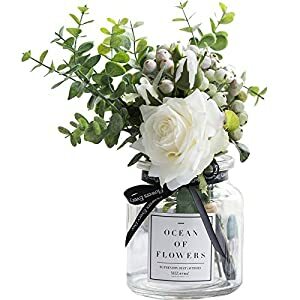 Package: We bend each and every stem to suit the packaging bag, when received , just straighten the stem is ok.
-There shall be no boring when there are silk flower bouquet on your life. 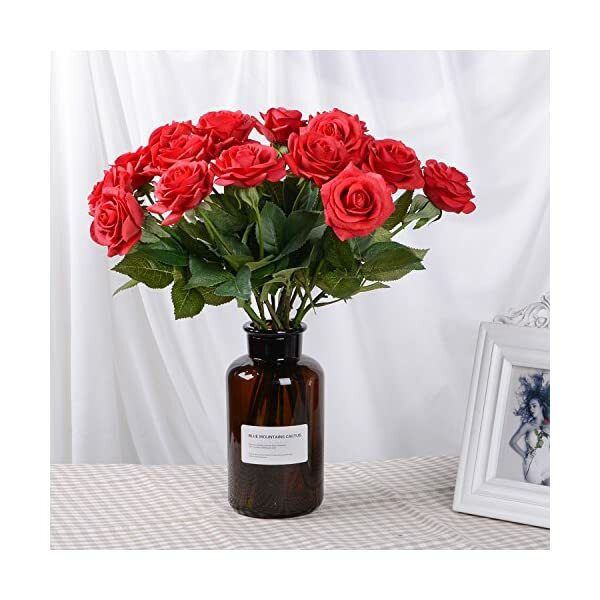 -If there are flowers on your living room,bedroom,desk，you are going to feel more joyful. 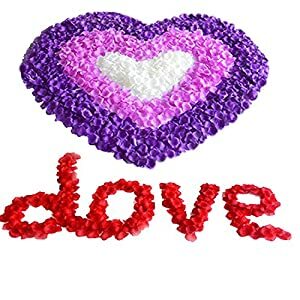 -If there are flowers to embellish your wedding,festival,party ,you are going to feel more colorful. -season past despite the fact that you spend your energy and time to care them. 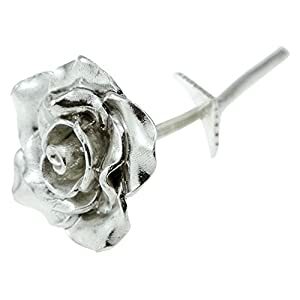 -However the faux rose can keep fresh & lifelike long time without your care. 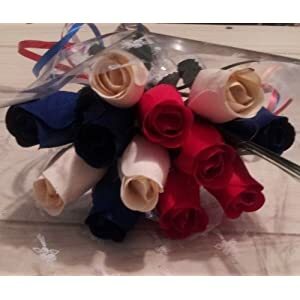 -You’ll be able to freely to bend or bring to an end the rose stem to suit your vase and bouquet. -Rose and baby breath are good friends ,put them together,you are going to see a wonderful picture. 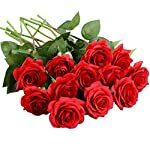 Soft and fresh red roses flowers, Base on the true flower to provide ,making the faux rose real-like and keep fresh &lifelike long time. 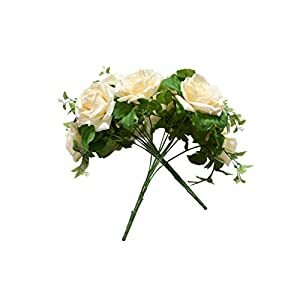 100% modern and realistic rose.Beautiful flowers for bridal bouquet. 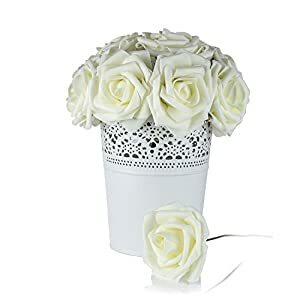 They appear and touch like real roses.The stem is made of steel wires covered with floral tape, Easy to DIY your personal style rose flower bouquet as you like. Size:Flower height: 21.2inches/53.8cm,flower heads Diameter 4.7inches/11.9cm.The vase and other accessories aren’t included. 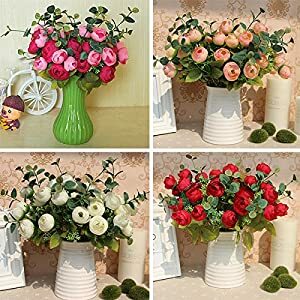 Rose bouquet great for wedding, garden, home, shop decoration, Can be utilized for the production of flowers, small jewelry, wedding decoration Can be utilized to embellish wedding with home, plug vase, put on.